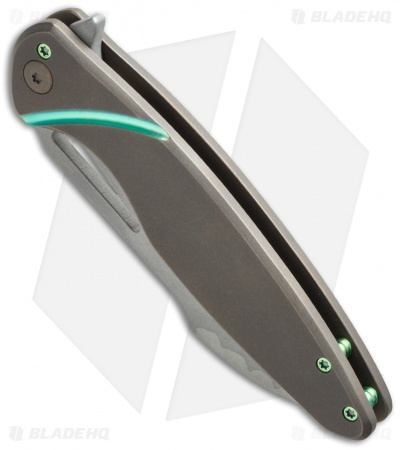 In collaboration with Arena Knives, Ferrum Forge presents the Tredecim flipper – Latin for "13." The Tredecim stands out with its harpoon style blade and sleek tapered handle profile. 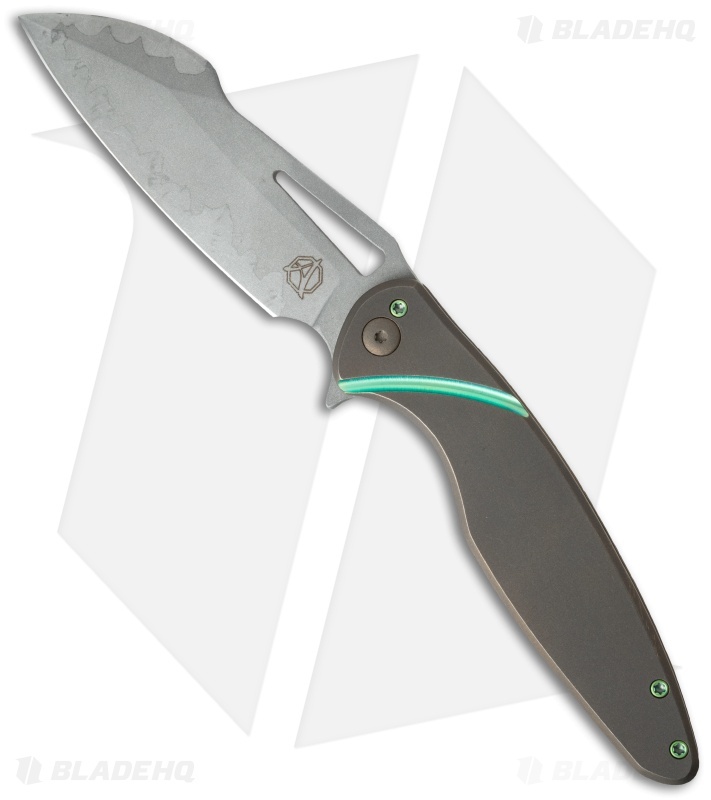 The blade has a simulated hamon finish – bead blast/stonewash. 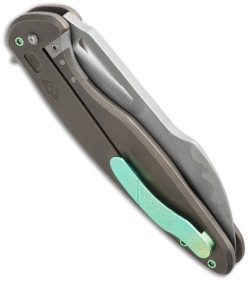 On this model the handle is bronze anodized and sports a green anodized groove, hardware, and pocket clip. 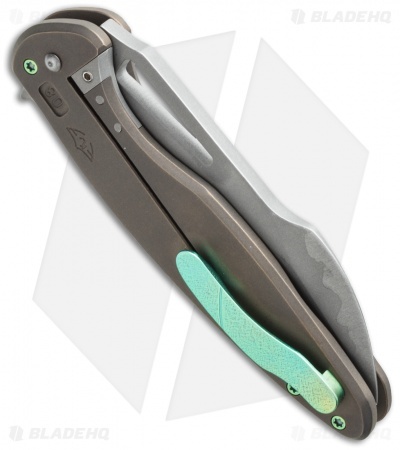 All the usual refinements offered in the Ferrum Forge Model Run lineup are standard on the Tredecim, like a steel lock insert/stop, Hoback Rolling Detent (HRD) and ceramic bearings.